[PDF] Hole's Essentials of Human Anatomy & Physiology, 11th Edition | Free eBooks Download - EBOOKEE! 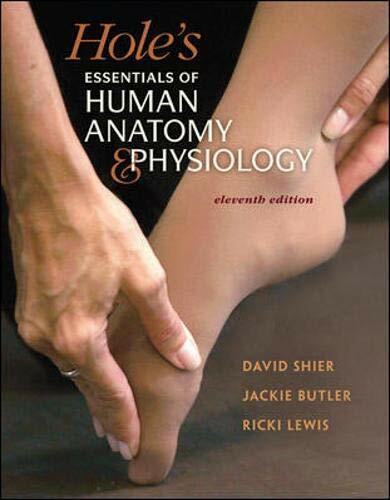 Description: Designed for the one-semester anatomy and physiology course, Hole's Essentials of Human Anatomy and Physiology assumes no prior science knowledge and supports core topics with clinical applications, making difficult concepts relevant to students pursuing careers in the allied health field. The unparalleled teaching system is highly effective in providing students with a solid understanding of the important concepts in anatomy and physiology. Users who purchase Connect Plus receive access to the full online ebook version of the textbook. No comments for "[PDF] Hole's Essentials of Human Anatomy & Physiology, 11th Edition".